We spend a lot of our day at the office. Therefore, we should make sure the environment we work in is neat and well-organised to ensure a productive day. Everyone knows that a stuffy, cluttered desk or office will damage your productivity, but what should you do with all the things you need to have nearby? Well, we have compiled a set of brilliant office storage ideas to help you keep all your papers, documents, and various reports in order, using a few must-have items. You need to know how to choose the best storage essentials that will make your life much easier, eliminating the struggle of rummaging through endless piles of documents until you find the one you need. There are many options for you to look into, and as far as storage ideas go, there is a solution for even the smallest of spaces. 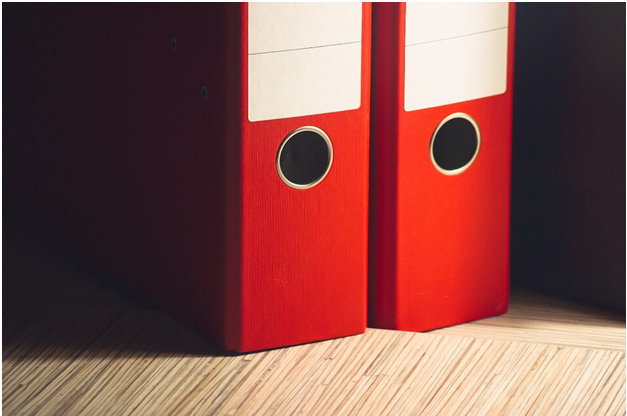 From folders to clipboards and binders, this article covers everything you should use if you want to keep your office organised and efficient. Let’s look at the best office storage ideas that will save you time and energy, allowing you to concentrate on what really matters. 1. Folders – What Can You Choose from? 2. Clipboards – Paper or PVC? Although it might seem like a drag, the process of selecting storage essentials might be a fun experience if you know where to look for the products you need. 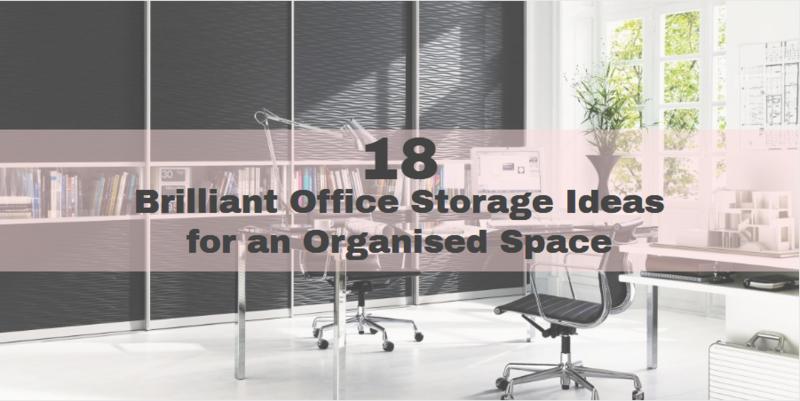 Having an organised office will greatly improve your ability to concentrate, and it will increase your productivity, which means you should really take the time to choose the best storage essentials. You should note that great office storage ideas are not a fad aimed at people with OCD tendencies, but a reliable solution for everyone who wants to work in a pleasant environment. Storage essentials will make your life easier, and you will always know where everything is without ever misplacing that important report due today. First, we should look into the various options you have, so you can make an informed decision when re-organising your office. Folders are the perfect go-to item for an array of products such as welcome packs, presentations or storing important paperwork. They come in various colours and materials, so you might need a little guidance to choose the right one for you. · PVC Folders – PVC folders are resistant, and the greyboard stiffening gives them a lasting structure and shape. Covered with PVC sheets, these folders come with inbuilt pockets that offer easy access to all the information you need. · Paper Folders – Paper folders are perhaps the most popular choice, as they are convenient and easy to store. If you want a high-quality product which has 2-3 mm thick over boards and can be customised according to your brand’s identity, know that there are a variety of solutions. · Polypropylene Folders – Polypropylene folders have a very elegant, modern-looking design, while maintaining easy access to your documents. They come in a variety of colours, and the inbuilt pockets will become a life saver for you. Folders should no longer be a dull item; there are now so many options when it comes to materials and design that you can create your own personalised version of the classic folder. If you are looking into highly personalised folders, know that even the most extravagant requirements can become reality. Our great office supply storage ideas could not ignore the classic clipboard present in all offices across the world. When it comes to clipboards which we all know and use, there is only one question to ask. Which material should I choose? Paper or PVC? For you to get an idea about the differences between the two materials, we should look into the particular features of each one of them. It should be noted that the differences between paper and PVC are more a question of design than of quality, as both materials offer sturdy, high-quality products that you will enjoy for a long time. They both come with the classic fitted clip mechanism that ensures easy access to their content, helping you quickly browse through the documents. The foldover paper clipboard is printed and then laminated to offer a sophisticated, elegant aspect. The PVC foldover clipboards have a more flexible cover, ideal for everyone who is looking for a modern and functional design. Ring binders are the easiest way to store and have access to a large number of documents contained in a refined looking binder. As with the other storage essentials, ring binders can be made of various materials, being easy to adapt to your particular needs and preferences. If the classic PVC, paper or polypropylene options don’t suit your needs, and you wish to design a completely original product, there is a possibility for you to mix and match materials and textures as you please. Ring binders are usually used for professional presentations and board meetings, and they should be looked at as part of your brand’s identity. Consider this when you are designing the perfect ring binder because a lot of your partners, clients and employees will get to see and use the ring binder. Make sure you use the right material that best fits your overall aesthetic and do not neglect the quality of the PVC, paper or polypropylene employed. Slipcases are a convenient storage idea for you to keep all your folders organised and on display. A slipcase is a box that can be made of PVC, paper or polypropylene and has five sides and an open one designed for the spine of your book or binder. The open side makes the spine visible, so you can easily access whatever documents you need, always knowing where to look for them. Slipcases are customisable items that grant you easy reference and storage, being adaptable to every office space. Choose the size, design and material according to your needs, and make sure your boxes are neatly presented and displayed. It’s worth noting that the PVC and paper variations come with a more rigid structure, while slipcases made of polypropylene are more flexible, and are also available in a transparent alternative. Choose the last option if you are going for a fresher look. Opt for the first two if you want to provide a classic, more traditional look for your slipcases. An easel binder is a variation of the ring binder, and it can be turned into a display folder or flip chart, according to your needs. This feature comes in handy when you are storing and transporting content, and you want it to be ready to display and present in a meeting. Easel binders are a helpful storage idea for those of us who need to give presentations or those who are involved in sales. · Why choose an easel binder? You should opt for an easel binder if you want to mix convenience and stunning design, as this item offers both in the same product. Easel binders have a rigid structure that can support and display a large quantity of content and are equipped with a strong binder mechanism to make browsing easy and quick. If you have an important presentation, and you need a great solution for storing and displaying your material, an easel binder is the best choice for you. It makes transport safe, and it ensures a stable visual support for your pitch or presentation. · Who can use easel binders? Easel binders can be used by everyone, but they are usually the go-to solution for teachers, sales representatives and PR managers who need to have all their information accessible at all times. Easel binders have another big advantage which is that you can rapidly look through your content and return to a previous page if need be. Easel binders also provide an elegant support for your presentation, being also used in meetings or even training sessions for new employees. Easel Binders are one of the most practical storage ideas for people who are travelling around and need an elegant way to store and display their material. · What variations are there for the easel binder? The exterior board that also serves as a support for your binder can be made of PVC, paper or polypropylene, and the design can be adapted to your specific requirements. Easel binders are fitted with a binding mechanism just as ring binders, but they come with an extra third piece that serves as a support when you are using your binder as a flowchart. Easel binders are a highly customisable storage solution because you can choose the colour, design and shape that you want, ensuring that you get the best version suited to your brand’s identity. When decorating your office, you take into consideration a variety of factors to ensure that you have an organised, pleasant space. Why wouldn’t you do the same when it comes to the storage solutions you employ? Consider personalised storage ideas that will turn your office into a functional, but still charming place. Personalised storage ideas help turn a dull office into a refreshing, neatly organized space where you enjoy spending your time. Knowing that a lot of our daily life is spent in the office, it is advisable to make sure the space we work in is efficiently equipped and pleasantly decorated. 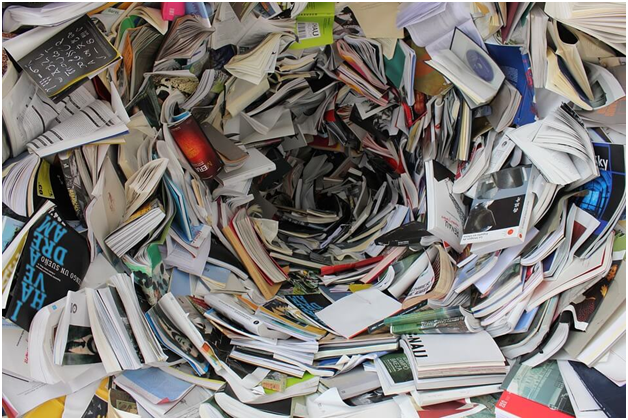 Our solutions for a personalised approach to storage in the office will help you find your way around your documents without having to constantly be searching for that one paper that has gone missing. Document boxes are no longer a cheap-looking, cardboard-made item to hide under your desk. You can choose from a variety of stylish document boxes that will serve a functional, as well as visually-pleasing purpose. Document boxes come in different shapes, sizes, and colours, and we strongly advise you to look into the diversity of options available, before choosing the one that fits best. Designed for storing and keeping documents safe and dust-free, these boxes are a great space-saver, helping you efficiently organise your office. They are one of the greatest solutions to small office storage ideas, as they can serve multiple purposes and can be stacked on top of each other to save space. What are the available materials for document boxes and which one is the best? The answer is simple; they can be made out of PVC, paper, polypropylene or a mix of these three materials. The best option is the one that perfectly fits in with the design of your office and your personal taste. Boxes with PVC over boards are sturdy and have a professional finish, being equipped with handles and fastenings to facilitate transport. The PVC also makes them waterproof and resistant. Paper document boxes are made using white greyboard die cut to size and then assembled into the desired shape. They are a stylish option as the exterior is covered with gorgeous silk paper that can be laminated to include your design. Polypropylene document boxes are a highly customisable option, as you can add various features according to your needs. The box is made from one sheet of PVC that is then die cut to match the required shape and finally, put together. For an original look and practical approach, clips, handles or foam can be included in the finished product. These stylish boxes can be shaped according to your requirements, and various features can be included in the design. You can opt for a flip cover, or add different locking systems, such as clips or fastenings. The structure is also customisable to best fit your needs when it comes to dimensions and purpose. Usually, document boxes have a quite rigid structure that provides a strong, safe protection for the documents you wish to transport or store. Design options are virtually endless, and you can play with textures and colours until you find the perfect match. Keep in mind the purpose of your document box and design it accordingly. If you are going to use it to transport papers, make sure you include handles for an easy-to- carry design. If you only need to keep you document box on a shelf, go for thicker ones that have more stability. Magazine boxes are an indispensable item for all creative people who need to have their source of inspiration nearby, being a great option for home office storage ideas. Magazine boxes are used to store and display materials that you need to access quickly and without making a mess. The great feature of magazine boxes is that they offer a neat look, while allowing you to easily find exactly what you are looking for. The design was specially created to always keep the pine of your magazines visible, so you can reach for the right one in no time. Another aspect that makes magazine boxes one of our best storage ideas for office space is that they simplify your life a great deal. The simple design ensures that your colourful magazines can be seen and admired, and also easily put back into place without having to stack them in the corner. This way you keep your precious magazines dust free and in optimum condition. The materials are the classic paper, PVC, and polypropylene. However, the design can be adapted to your particular requirements. If you want to forget about magazines spread around on your floor at the office or at home, you could also look into one of the various options for magazine boxes that exist. Display books are a reliable tool for almost all businesses. They can be used for brochures, menus, and even personal presentations, due to their fresh design and customisable cover. Display books are typically made of two boards and a series of plastic pockets that can be filled with documents, artwork or courses. Display books are a favourite amongst photographers, visual artists, and real estate sellers, as they provide easy access to the necessary visual aids. The display books are highly customisable and can be adapted to the specifics of your brand, so it is advisable to research the available options before ordering your display book. You can choose from a variety of materials, shapes and sizes. There is also the possibility to include your company logo on the cover, along with contact information or other important details. Anything you can think of can be printed on your display box. You can take advantage of all the display space the box offers and have a design printed on the outside, inside, interior cover and even pocket faces if you choose to include them. There are various methods available for printing from screen, digital to litho print, so you can certainly discover the best solution for your customised display box. Debossing is a technique that will provide an extra dose of style to your display box. It is achieved by creating an impression onto the material, ensuring a pleasant tactile experience for the user. This elegant option works best on materials that have a strong texture, and the result is a spectacular, yet subtle design. For those who are looking for an edgy, luxurious touch to the classic display box design, foiling is the best solution. Perfectly fit for a metallic design, foiling comes in a silver or gold variation, and it will convey a high-end appearance to any display box. For a more practical approach, you can also include pockets to your display box. They can also be customised when it comes to colour, size and material, so choose the one that fits best with the rest of your design. Pockets are one of the great storage ideas as they offer you a plus of functionality, while also improving the overall design of your display box. If none of these solutions are what you need, and you fancy something completely original that you design according to your own needs, you can easily find options for a different, unique display box. As you have seen, there are plenty of DIY office storage ideas that you can include into the final design of your display box, so bring your creativity into the process of creating the best product for you. Organisers are a great solution for small offices as they help keep track of your tasks without having to rummage through piles of paper. The great thing about organisers is that you have everything you need in one place, clearly and neatly kept and easy to access. Organisers come in various designs, materials, and sizes, and they can have various options for the sealing mechanism. You can choose an inbuilt strap and stud for an elegant design, easily adaptable to even the smallest space available. Page pockets are one of the most accessible options when it comes to storing documents, and their fame is well-deserved. The transparent pockets offer the advantage of easily browsing through them and the possibility of moving them around if need be. 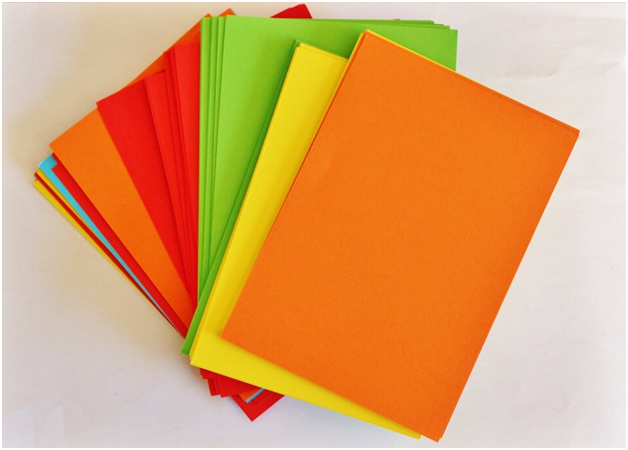 Page pockets are generally made of PVC or polypropylene, but card options are also available. Page pockets are useful in a small office as they can be easily accessed and they don’t take up much space. 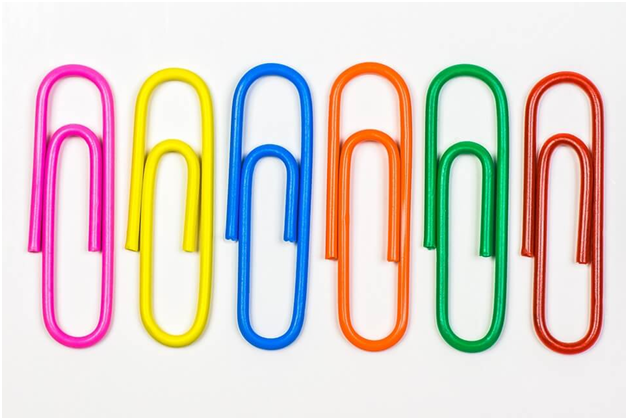 You can reuse them, and they serve a variety of purposes, which makes page pockets a great choice for your tiny office. Maintaining a well-organised workspace is the key to a productive day that leads to a fulfilling life, so you should look into our storage ideas whenever you need a solution to better using your space. 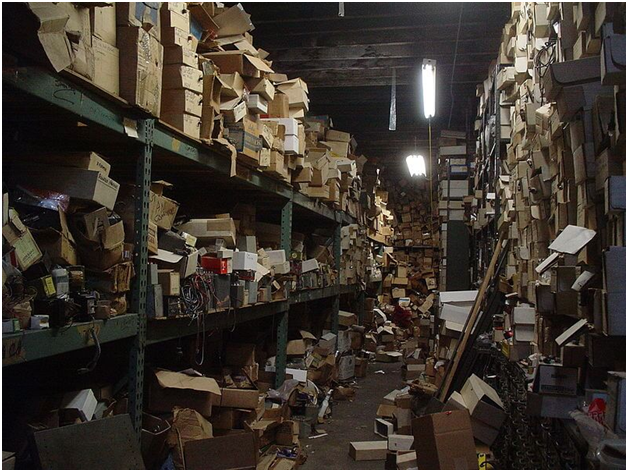 Think about how much time and energy you are currently wasting on finding lost or misplaced documents, and you will understand why you need a brilliantly organised office. Being surrounded by neatly stored and displayed boxes, binders and slipcases, will make you feel at ease, and you will find that your ability to concentrate will increase. There are endless options to take into account when looking for the best storage idea for you, so you can undoubtedly find the ideal solution for any space problem. We are convinced that our solutions for organising and making the best out of your available office space will prove useful both short and long time. Try these products and it will be much easier for you to manage, present and display your work whenever necessary. Don’t forget about the various customisable products dedicated to fulfilling the particular requirements of your brand, and look into all the available options. As they say, the sky is the limit when it comes to customising your original folder, binder or documents box, so express your creativity and originality when choosing the right design. Our list of brilliant storage ideas for an organised space will come in handy whenever you feel surrounded by a clutter of papers and don’t know which way is up. The storage ideas presented in this article were created for you to employ when you need to regain exterior order and interior peace in a well-organised space.